The Tidewater Resort in Panama City Beach offers some fantastic condos and vacation rentals that have some unique features that aren’t found at other Panama City Beach resorts. The condos we feature, for example, offer a stunning panoramic view of the ocean and beach from a bay window on the master bedroom! Tidewater also features many adult-only amenities such a hot tubs, sauna, steam room, exercise room, and more. There is a snack shop, indoor pool, outdoor pool, game room, and even an indoor theater! Tidewater Resort definitely has something for everyone and we have two incredible condos that we definitely recommend below! We always get asked who we recommend booking PCB condos through and we’re finally able to share our favorites with you! Many people book through sites such as VRBO, Homeaway, or some large property management company. Doing so usually means paying a slight markup to compensate for the fees those companies charge the condo owners. To avoid that markup, we’ve directly sought out owners of HIGH QUALITY condos in Panama City Beach, FL to rent directly through to cut out the middleman and save money by renting directly from owners. This also means that you get much more personal attention and appreciation when booking a vacation rental through the owners. They truly want you to have the best possible experience and will work with you far beyond what a massive website/company would do. These condos are among the best-kept condos in Panama City Beach, Florida. They have a strict no pets/no smoking policy, which keeps the condos in great shape and continuously receive great reviews! We can absolutely recommend the following Tidewater Resort vacation rentals for your next vacation to Panama City Beach! Mention “Inside PCB” for the best deal! 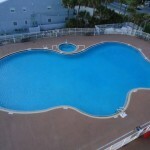 If you would like to see more details about these condos from their owners’ website, you can visit them at http://pcbcr.net/Tidewater.htm or you can find them on facebook at http://www.facebook.com/PanamaCityBeachCondoRentals . Just be sure to tell them “Inside PCB” sent you to get your best offer!